Set on the beachfront in the Fijian capital city Nadi, Ramada Suites Wailoaloa Beach Fiji offers guests an opportunity to enjoy a relaxed beachside holiday in comfort and style. Located in a quieter part of Nadi, you don’t have to deal with any crowds and you have a massive sandy beach to enjoy during your stay. You’ll find plenty of fun things to see and do around Nadi and your central position means you are close to everything. 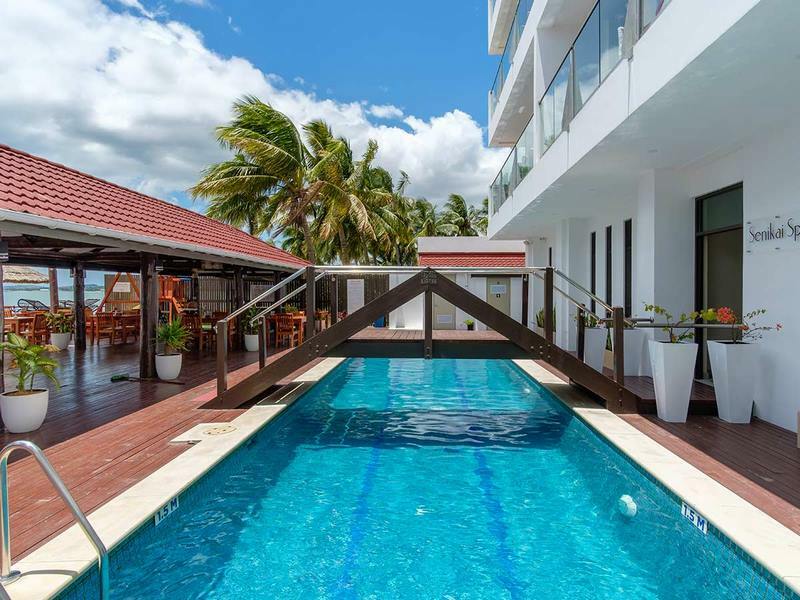 When you are looking for a Fijian getaway in modern and spacious accommodation that has an ideal location close to every amenity you could want, these suites are a wonderful choice. Located right on the picturesque Fijian beach, this is an ideal location for you to experience everything this magical country has to offer. Spend time on a sun lounge by the pool, or perhaps under a cabana beside the sandy beach, there are so many quiet, shady and relaxing spots to find and enjoy. 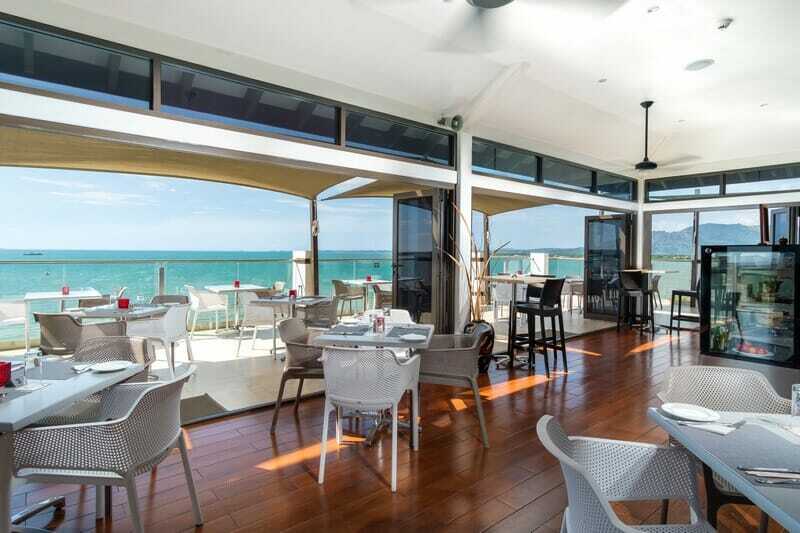 When you’re hungry, the Rooftop Club 57 Restaurant & Bar is a fantastic choice for quality dining in a casual atmosphere with breathtaking views across the ocean. The menu features dishes from several international cuisines and can be perfectly matched with a wine, cocktail or local beer from the bar. You’ll also find some great dining options nearby, so you’ll always have plenty of options. There are many fun and exciting things you can do in the local area, including surfing, snorkelling, paddle boarding, mountain biking, hiking and sky diving. If you would prefer something more relaxed, there are plenty of boat and sailing charters that will let you experience the natural beauty of this country in comfort. Even though the suites are handy to the international airport, you have access to 24-hour free airport transfers on arrival and departure, so transportation is simple and easy. There are 40 serviced suites here, available in 4 different configurations, including both 1 and 2 bedroom options. 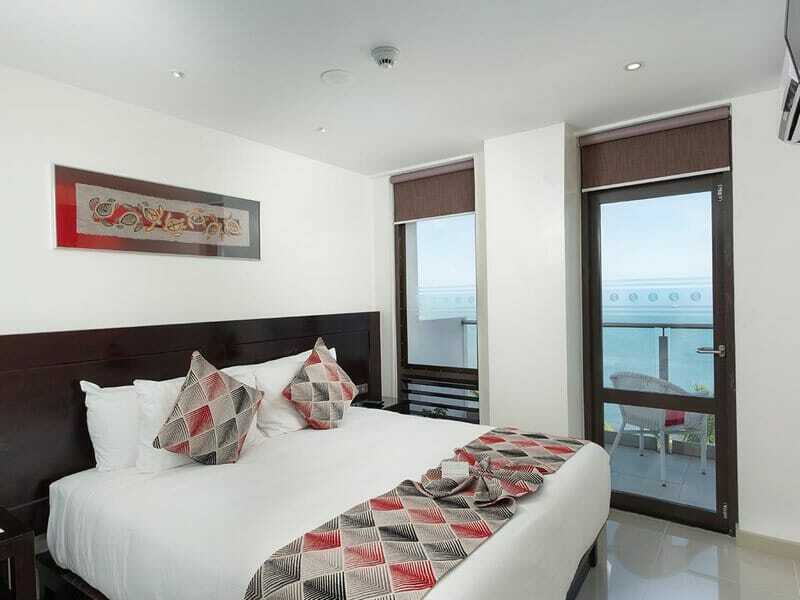 Each suite has been designed in a signature modern style that includes light coloured walls with dark furniture, plenty of natural lighting and with floor tiles throughout, perfect for a relaxed beachside holiday. There is a full kitchen with quality appliances, including stovetop, refrigerator, microwave and dishwasher, adding a level of convenience and flexibility to your stay. 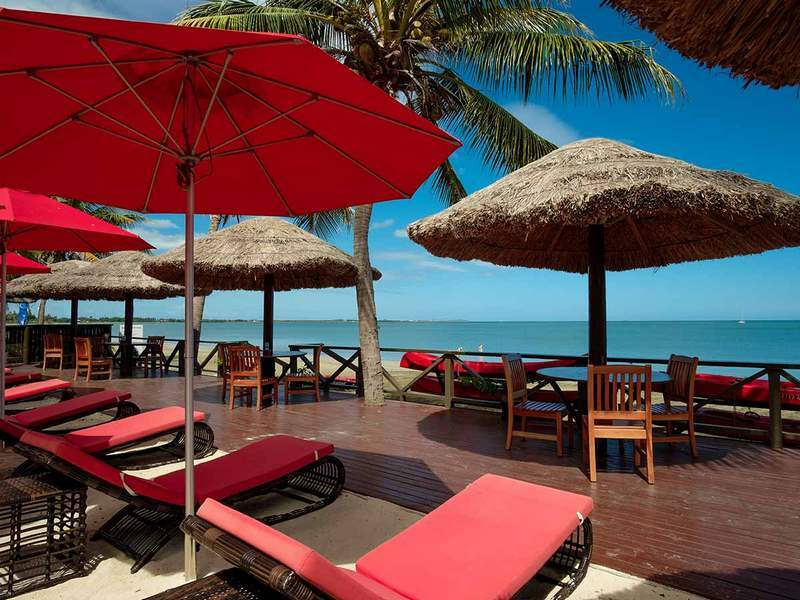 To book or find out more about Ramada Suites Wailoaloa Beach Fiji, contact our dedicated Fiji Holiday Experts now.